Hi everyone! 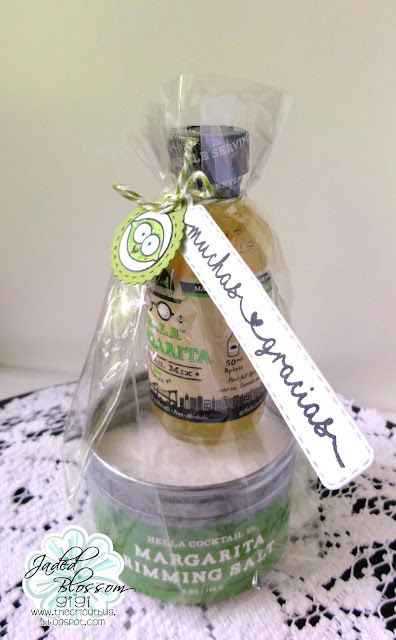 This is GiGi from The Cricut Bug and I am sharing this Margarita gift set I made using my Jaded Blossom supplies. This would be a super cute thank you gift and it went together very quick. I started this project with a Gusset Bag and filled it with Margarita salt and mini bottle. I tied it at the top around the neck of the bottle with twine and added the tags. I cut the circle tag using the Candy Charms and Banner Dies and the lime image is stamped from the Fruity Candies stamp set. 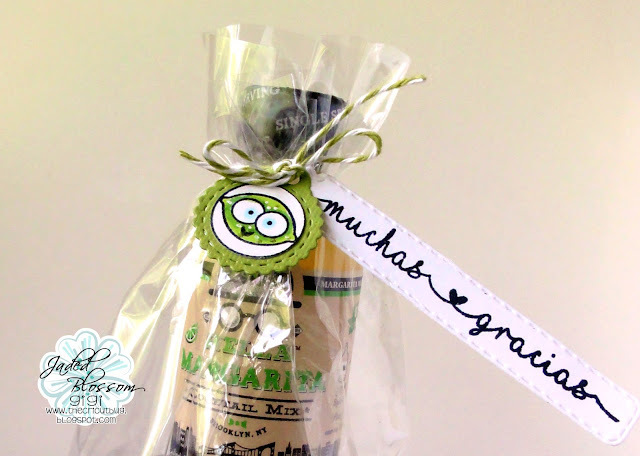 I cut the sentiment tag from the Mini Tag Dies and stamped the sentiment using the Cinco De Mayo stamp set.